Damage in Pittsfield seemed fairly extensive, with apparent greater damage to buildings and bridges than in some other places. 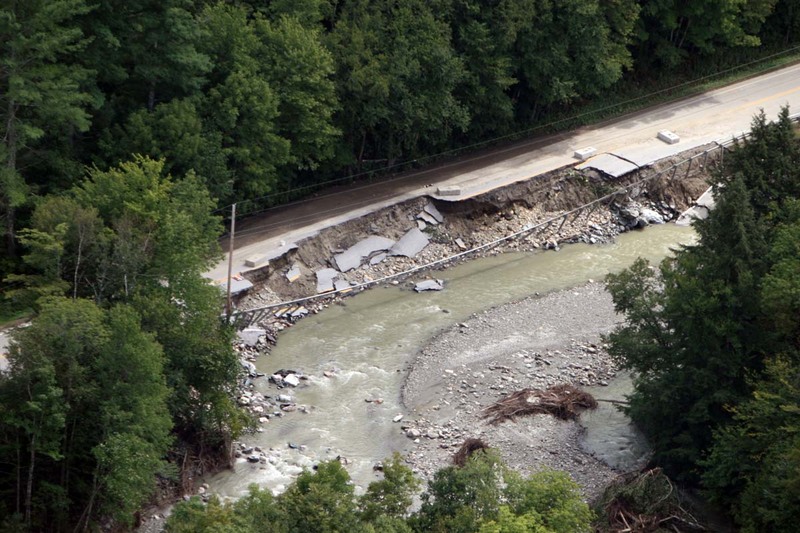 I just flew up Route 100 and over the town before heading to Brandon, so there is likely other significant damage that I didn't get to photograph. 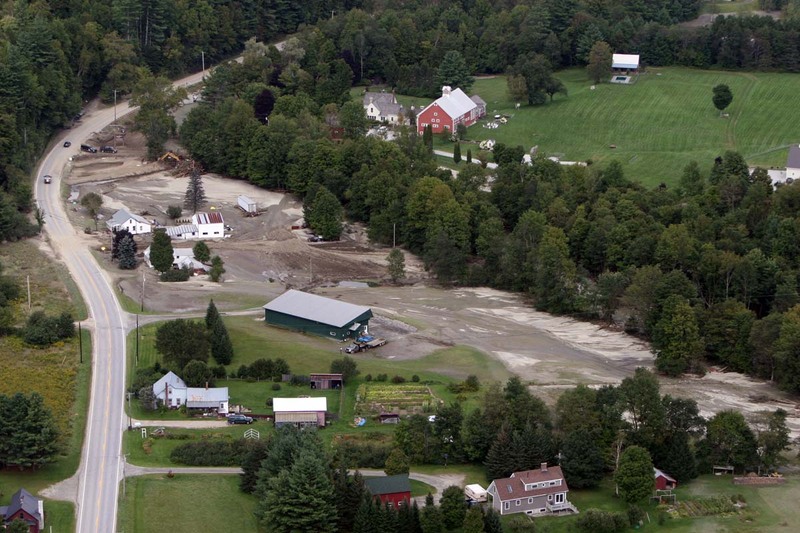 Before even getting to Pittsfield I was struck by this event just east of Route 100. 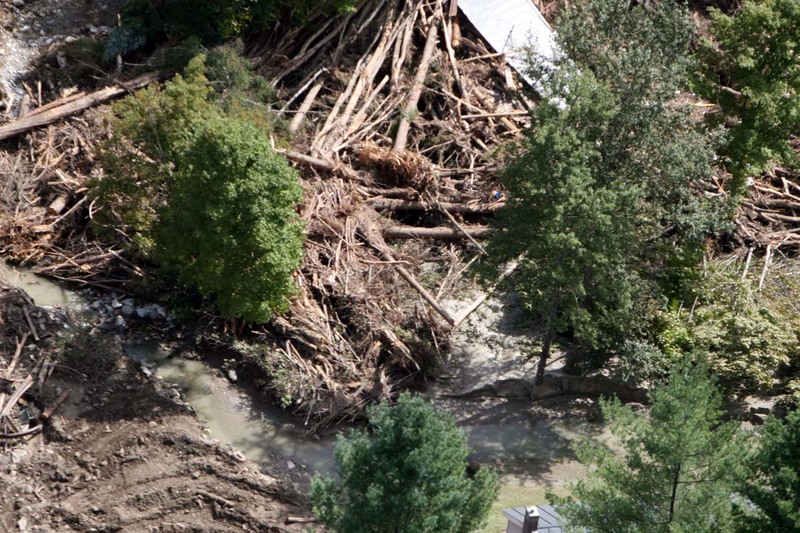 Rain had been so heavy near the top of the ridge that a large segment of trees appear to have been uprooted in a form of mudslide on the side of the hill. 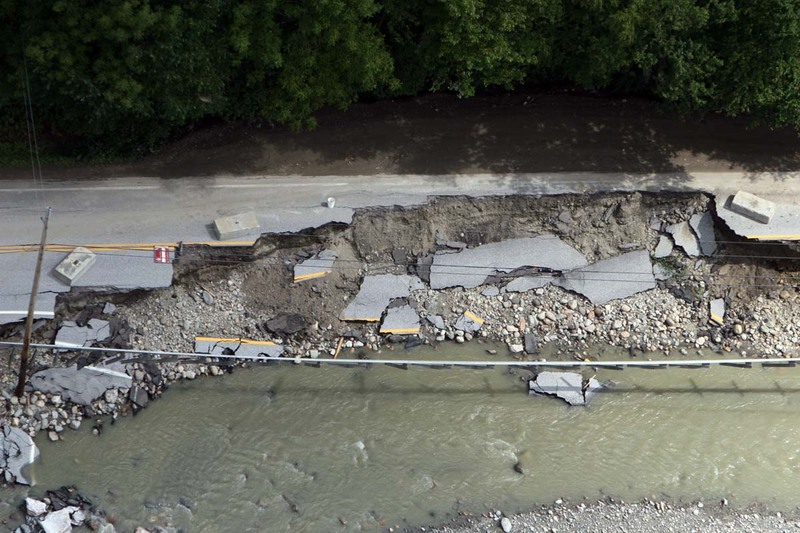 Several segments of Route 100 south of town were signficantly damaged, similar to what was seen througout the county. Another "hanging guardrail", and asphalt neatly deposited a few feet lower than its original location. 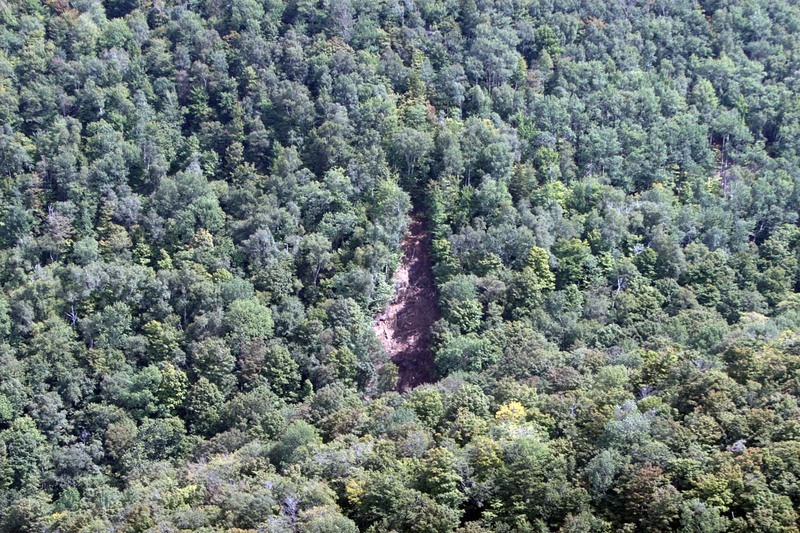 Colton Enterprises appeared undamaged, but the swath adjacent to it is evident. 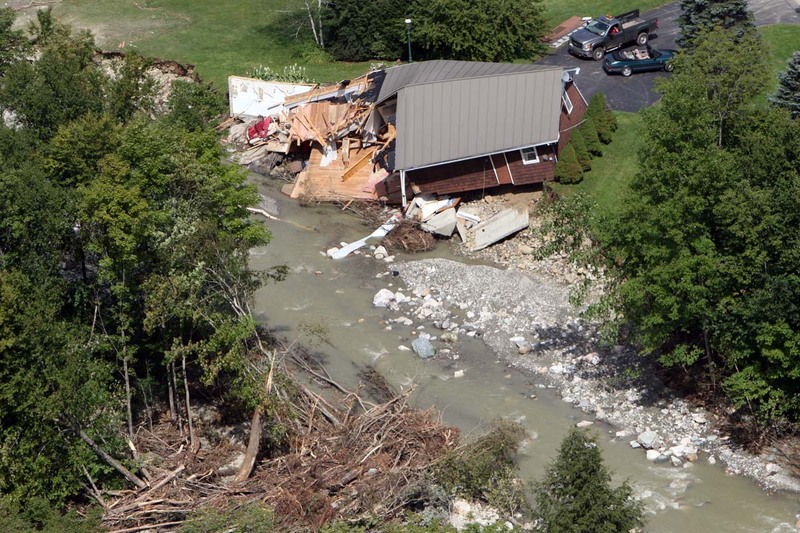 Slightly downstream and adjacent to Route 100 a mangled house settles into the riverbed. 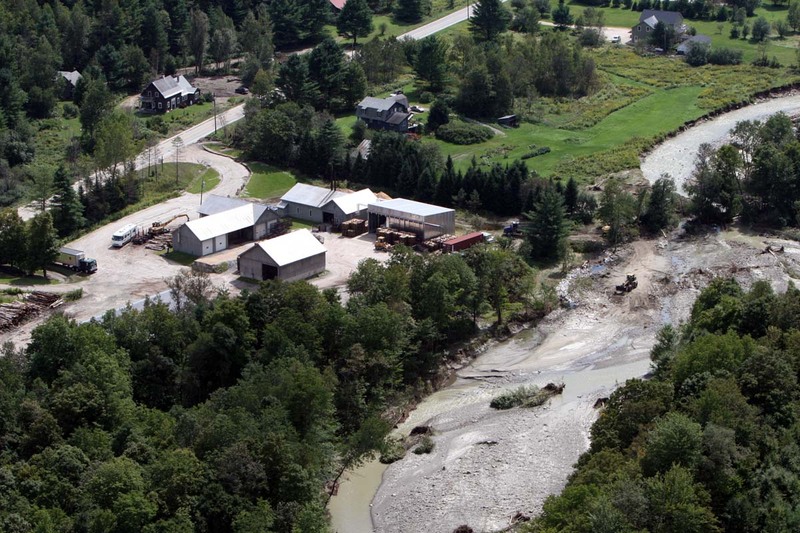 Riverside Farm, minus the entire covered bridge. 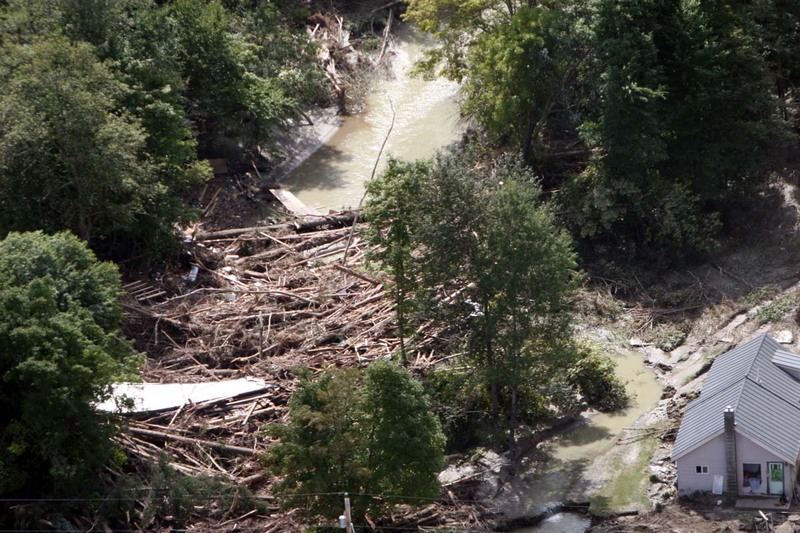 Just downstream from Riverside, I think much of the covered bridge is lodged in this collection of trees and debris. 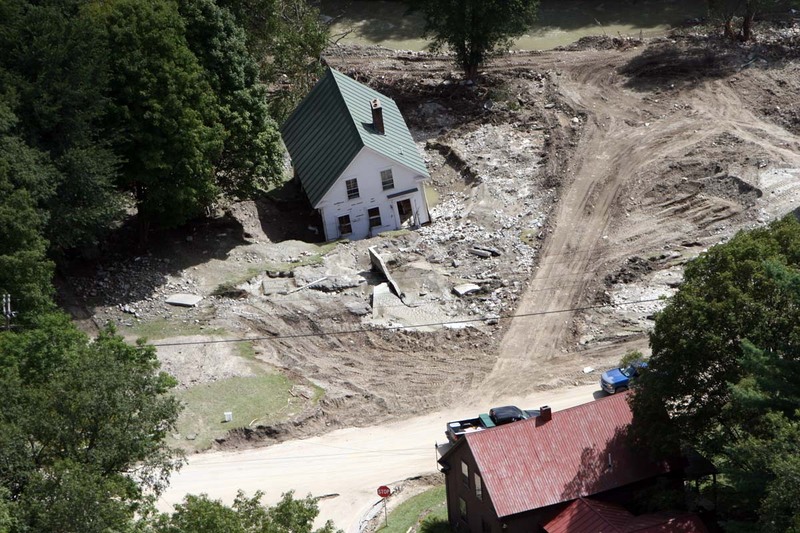 A house is moved from its foundation and pushed downstream into the mud. 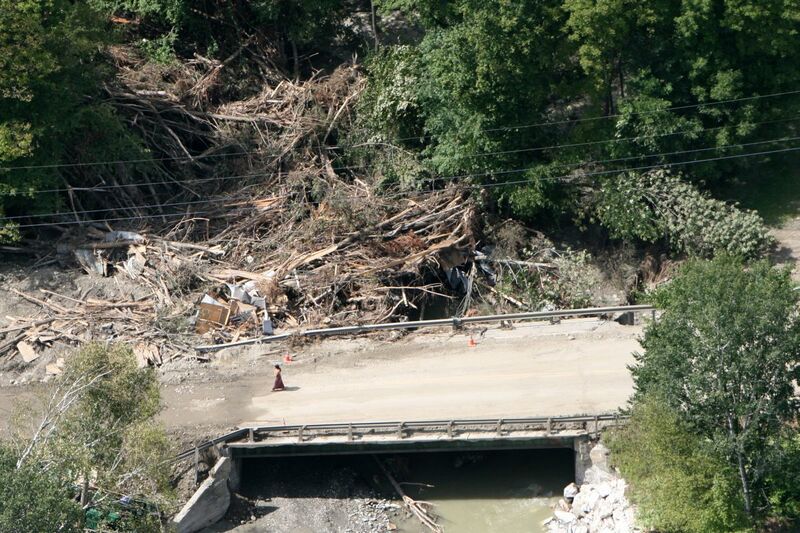 A woman walks across one of the remaining bridges on Route 100, seemingly packed against hundreds of logs.